Considered to be one of the most significantly funded digital lenders, Capital Float counts Ribbit Capital, Sequoia India, SAIF Partners, Creation Investments, Aspada Investments, and most recently Amazon India among its investors. Till date, it has raised $110 million in equity funding. Last month, the Bengaluru-based firm raised $22 million (Rs 144 crore) in equity funding from e-commerce major Amazon India. The investment was part of Capital Float’s $45-million Series C round that was announced in August 2017. At the time of the fundraise, co-founder Sashank Rishyasringa said that the firm had added new products to its portfolio and had crossed Rs 1,200 crore ($185 million) in overall outstanding loans. 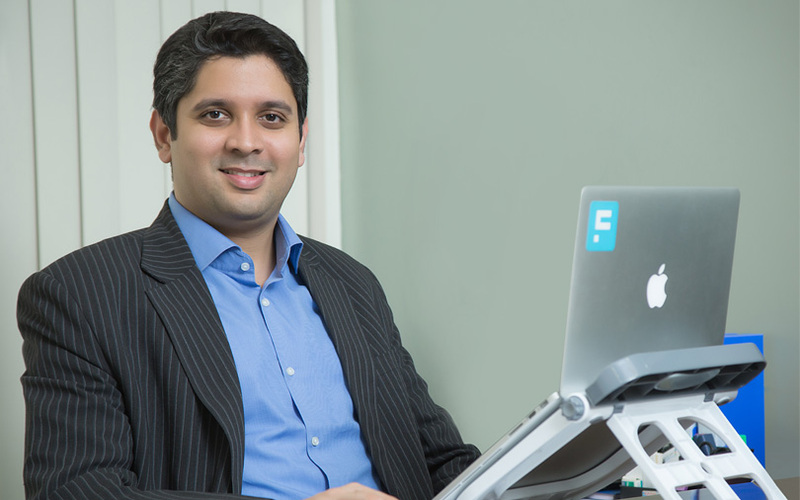 Founded by Rishyasringa and Gaurav Hinduja in 2013, the company operates as a hybrid marketplace where banks and non-banking finance companies co-lend along with the firm to borrowers. For the financial year 2016-17, Capital Float, which goes by the trade name Zen Lefin Pvt Ltd, posted high revenues (Rs 46.58 crore versus Rs 9.45 crore in FY16) but it incurred heavy losses (Rs 63.47 crore versus Rs 28.99 crore in FY16) as it burnt more money. How did the funding happen and why is Amazon interested in a fin-tech startup? Over two years, we have been working closely with Amazon to finance merchants both buying and selling online on their platform and we had developed e-commerce financing as a core product line within our business. E-commerce is now 20-30% of our overall business. That said, I think this investment stands on its own merit. It is a recognition from Amazon of the business model that we have built. How are you going to use this capital? The funds will be used in three areas. The first is product innovation. We are constantly working on developing new credit products that meet specific needs of the MSME (micro, small and medium enterprises) space. The second is on customer experience and ensuring that we are able to significantly improve the bar in terms of [a] seamless experience of getting loan for a customer. Today, we pioneered the experience of mobile-first for micro merchants and kirana stores, where they can get loans in 3 minutes. We want to create similar experiences in other verticals as well. The third is to continue to invest in our proprietary underwriting engine, where we use a lot of data science to be able to improve the prediction of credit risk and to lend to segments previously been ignored by the traditional banking segment. Can you give us a brief idea of the business and revenue model of Capital Float? The business model of Capital Float is to provide innovative credit products to MSMEs across the country and specifically doing it using technology. We use technology across three fronts—first is developing new and innovative products for customers, second is to deliver these products with a seamless experience and the third is to be able to use technology and data science to assess customers in an accurate and efficient fashion. In terms of how these loans are funded, we operate on a hybrid model, where we have a balance sheet; we are an NBFC. We also operate on a co-lending model where we work with large banks and NBFCs. They can co-originate loans with us to the segments that we lend to. So, this in totality would be the business model of Capital Float. The revenue model of Capital Float: there are two revenue streams—first is interest income and the second is fee-based income where we earn from customers at the time of being sanctioned the loans as well as from our co-lenders when they co-originate loans alongside us. How many customers do you have and how many transactions do you clock in a month? We added 50,000 customers in the last year. We currently have a Rs 1,200-crore loan portfolio and we do Rs 250 crore disbursal every month. Since our inception in May 2013, we have done about Rs 4,500 crore in disbursals. Why do you focus only on SMEs? Will you look to expand beyond that? We are constantly in the process of innovating and finding new segments that are credit-poor but data-rich and this has taken us to very interesting places. So in addition to funding enterprises, today we also fund individuals who are trying to earn by running a business. This could be, for example, a person trying to run a mom-and-pop store, a travel agent or even a doctor looking for funds to expand his/her practice. Today, we serve a variety of different segments across institutions and individuals. Recently, we launched three products that are, I think, quite unique and target very different segments. One is (for) doctors, the second is actually schools and the third, we are funding entrepreneurs looking to set up franchisees, like a quick service restaurant or a retail outlet, for example. How different is this model from traditional banks? It is different in a few key ways. The first is that it is a digital model. We don’t have a traditional branch model where customers have to visit a branch and meet someone and they have to fill out paperwork, etc. For us, people can apply online [or] through a mobile app. It is very seamless. I would compare our model to a similar difference between, let us say, an e-commerce platform and a brick-and-mortar retailer. Second important difference is in the way we assess credit risk. Traditional banks typically do asset-based lending, where they look at the strength of the company’s balance sheet and they typically lend against assets. This could be a person’s house, machinery, etc. Our approach is much more around lending against cash flow. Our effort is to assess the running cash flows of a business and to understand their transaction history and to provide them with an unsecured loan that is focused on working capital and the running needs of the business. The third difference: I talked about product innovation. Typically, traditional banks have two kinds of products for the SME space—they either offer an overdraft or a cash credit, which is against collateral or they offer a term loan—typically a 2-3 year loan which is paid back in monthly instalments. We offer these products but also offer others. For example, we have a pay-later product. This a 60-90-day facility for an entrepreneur to make payments to their select suppliers on credit. It is a very interesting product because we found that a lot of SMEs have 60-90 day need. We have got a lot of bespoke loan structures that traditional banks may not offer MSMEs. In FY17, your operational revenue stood around Rs 47 crore. Do you have any projections for the coming years? We typically don’t share revenue forecasts, but we are targeting to do close to Rs 5,000 crore disbursals in FY19 and adding nearly 3 lakh customers over the year. How do you see the competition around you, especially Lendingkart? I would not comment on specific competitors but generally the way we see this is it is a very large unaddressed market with different niches and segments. So, we don’t see it as a winner-take-it-all market. It can accommodate multiple players. Different players will take different approaches in terms of specialisation and vertical focus.